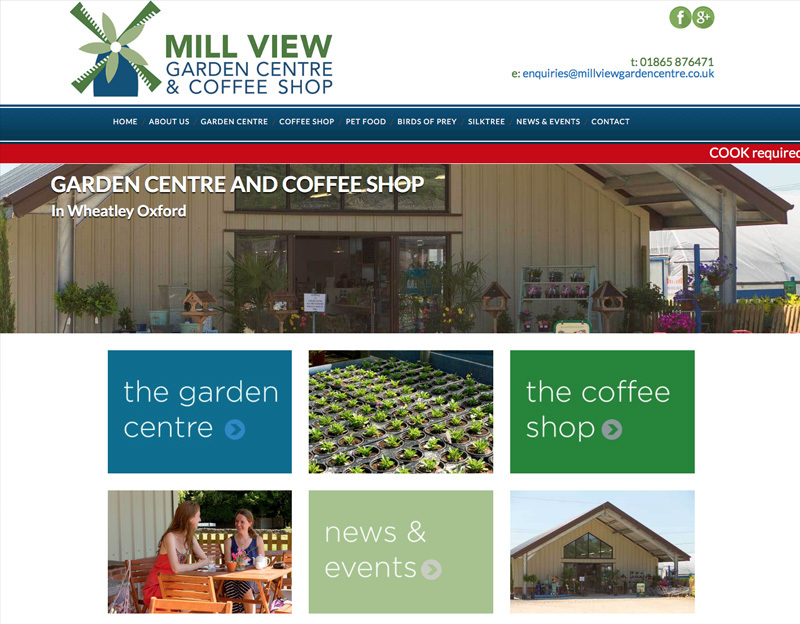 Mill View Garden Centre are a local garden centre based in Wheatley Oxford. This was a new website and the look and feel had to reflect the logo and changes they have made in the business. They had built a new coffee shop so the website was to advertise this and the other features on the site, like birds of prey. Built in WordPress they can update themselves adding special offers that they are running. A news / blog section also keeps customers up to date on news and events.